With the addition of shoulder retrieval D-rings on this standard vest style harness, the Delta No-Tangle Rescue Harness is ideal for rescue applications as well as standard fall arrest and restraint. The 1101254 combines maximum comfort, freedom of movement and ease of use without sacrificing safety. 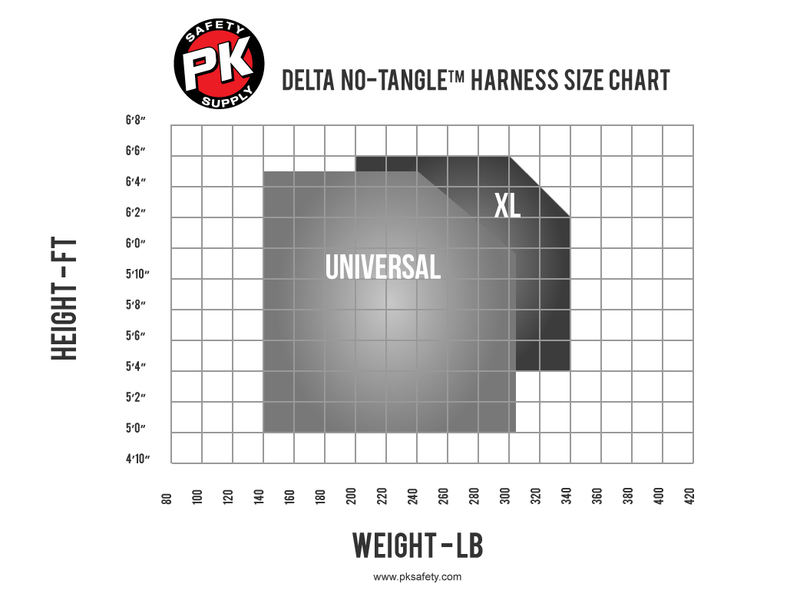 Designed to distribute the impact forces throughout your body in case of a fall, the Delta No-Tangle design also holds its shape when being stored making it easier to put on. Integrated spring loaded stand-up back D-ring provides the user with quick connection - enhancing ease-of-use and worker productivity. An option is to add the optional Delta Comfort Pad accessory for wrap-around comfort for longer hours of wear with less fatigue.